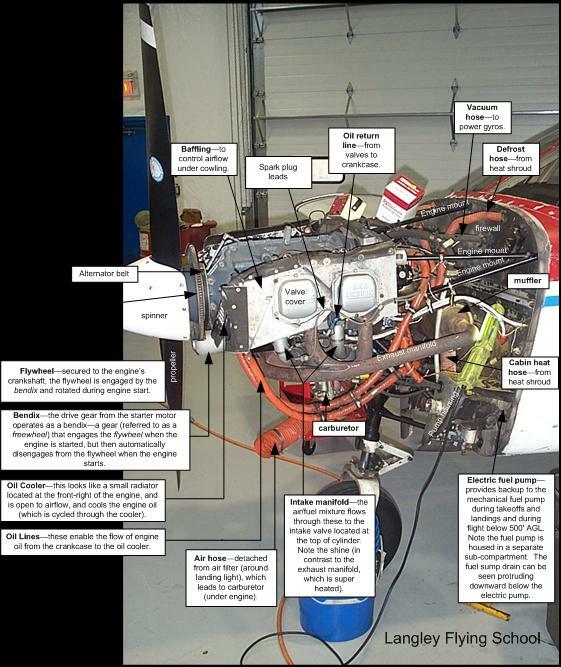 The actions a pilot must take when he or she discovers defective equipment or component on an aircraft is described Part VI, Subpart 5 “Aircraft Requirements” of the Canadian Aviation Regulations (CARs). According to Canadian Aviation Regulation 605.10, no person shall conduct a takeoff in an aircraft where an aircraft’s Certificate of Airworthiness is not in force unless all equipment, systems and instruments prescribed in the applicable airworthiness standard, and all required equipment, are functioning correctly. Therefore, if you fly with defective equipment, you are in contravention of governing regulations and your insurance may not be valid. Canadian Aviation Regulation 605 Schedule 1 also requires that all defects must be recorded in the aircraft Journey Log and standards for defect control require that unmistakable warning of a defect is given at the appropriate flight crew station. Langley Flying School is a commercial operation whereby all maintenance activity, including defect control, are governed by the School’s Maintenance Control Manual. This document provides that “minor defects” can be deferred until corrective action is taken, provided the defect does not affect the airworthiness of the aircraft. If deferred, the minor defect must be noted in the aircraft’s Journey Log, including the reason for the deferral, and simultaneously noted in the Deferred Defect List attached to the front of the Journey Log. As a commercial operation, the maintenance of all aircraft must be updated on the “Aircraft Status Display ” which notes deferred defects, as well as the aircraft’s scheduled maintenance. The Journey Log, the Deferred Defect List, and the Aircraft Status Display must be examined prior to each flight.